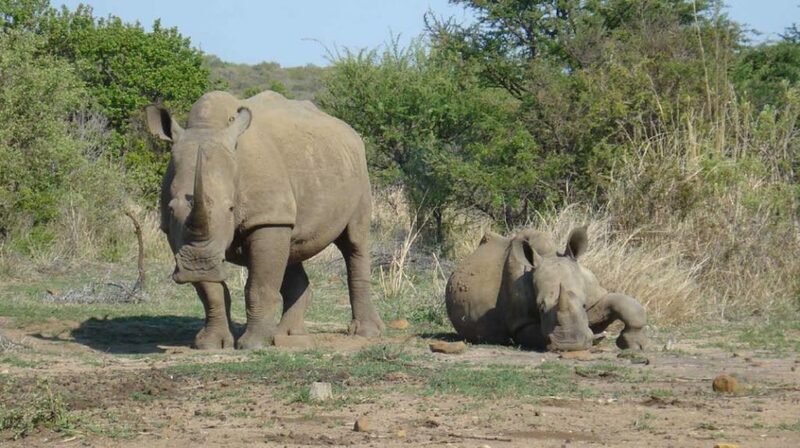 If you are a regular visitor to our site then you will have almost certainly seen the work we have been doing over the passed few years with regard to helping support Anti Poaching efforts alongside SANParks. 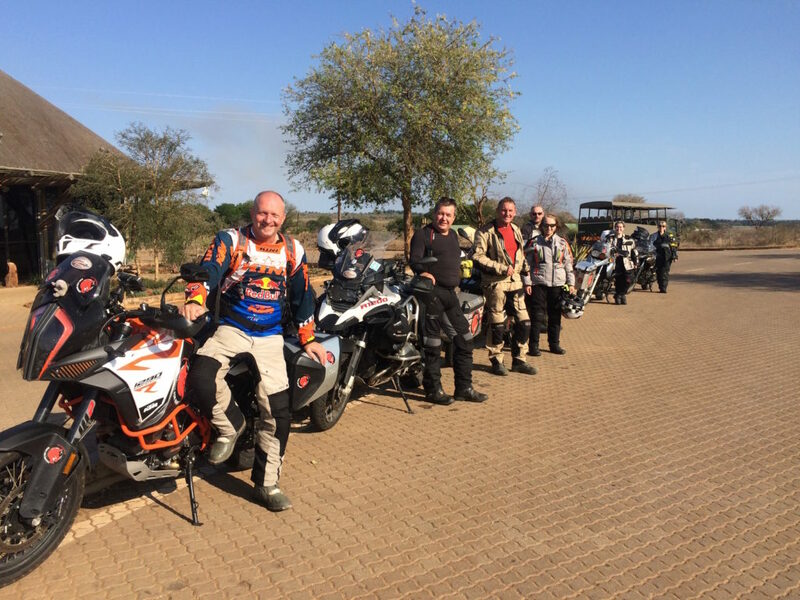 In September 2017 Kaapstad Motorcycle Tours led the first ever motorcycle group into Kruger Park to stay at Crocodile Bridge. This was part of the Ride for Rhinos event that we spearheaded. 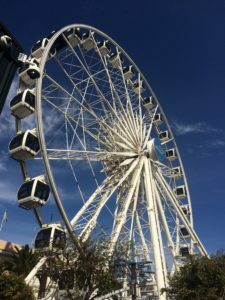 On the back of the success of this trip we have decided to put together a brand new tour which will see you circumnavigate South Africa covering a distance of circa 5,500 kilometres in 20 days. For every person that signs up to this trip, Kaapstad Motorcycle Tours will donate £250 to the Kruger National Park Honorary Rangers. This money will go towards projects dedicated to help fight the war on Poaching! Please note. This map gives only an indication of the route. It may change subject to local conditions. Upon your arrival in Johannesburg on the 1st day your will be greeted by your host and the rest of the riding team then transferred to the beautiful oasis that is Safari Club SA very close to the airport. You can spend the rest of the day preparing your luggage and bike for the trip as well as completing the paperwork for the bike hire. After a good breakfast we head out on to the road for a short day just so you can get used to the bikes. Our target id Elgro River Lodge near a town called Potchefstroom where who know what treats await 🙂 This is the home of the annual Horizons Unlimited event in South Africa. Many a long distance overland traveller has stayed here. You will see the attraction for yourself. Heading west we are aiming for the small but friendly town of Kuruman which sits on the edge of the Kalahari. Still heading West but to one of our favourite South African National Parks. Augrabies Falls is simply stunning. Continue West (its a big country) to the frontier town of Springbok. You will love the Springbok Inn hotel. very welcome after a day in the saddle. A new day and a new direction. We head South down to the small town of Clan William. So nice roads through the mountains after the long straights of the Kalahari. The beauty of travelling in this area known as Namaqualand at this time of year is the fields and hillsides are covered in wild flowers. The sights and smells are simply breathtaking. A lazy start as we ride down to Cape Town and into the famous Waterfront district. You will stay in one of the areas top hotels and dine in one of the many fine restaurants in the evening. Today we start along the south coastal road which is often described as probably the best coast road in the world. We are due to overnight in the town of Hermanus which incidentally is the best land based Whale watching town in the world. Keep an eye out as we will be here right in the middle of the whale season. A good mix of riding today as we leave the coast behind and head north over the mountains and across the Klein Karoo to the town of Oudtshoorn. Here you will camping over night. Well when we say camping….. if there was a level above “Glamping” then this would surely be it. Beautiful Buffels Drift Game Reserve. Take the chance to go on a evening Game drive whilst here. You won’t regret it. Heading East away from Oudtshoorn you will be staying at another Game Reserve tonight. Another of the SANParks offerings which is always a favourite of visitors. Addo Elephant Park! Head north up through the Eastern Cape. into the place known as King William Town. a small but friendly guess house is your accommodation here. Back towards the coast today as we visit Port St John. Some beautiful roads down to this seaside town. An early start so that we can reach todays overnight. Pietermaritzburg. After Cape Town probably the biggest location we will visit. A fairly easy ride but a memorable one as we pass through the small town of Howick, famous for being the place where police finally captured former President of South Africa – Nelson Mandela. we are heading to one of the best known settlements in South Africa. 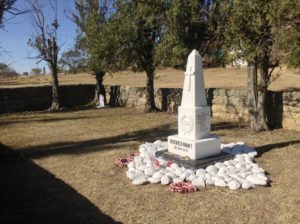 Made famous by Michael Cain in the film Zulu our destination today is the historic settlement of Rorkes Drift where you will have time to visit the actual battle ground as well as the museum. Monuments to the fallen of both side are erected within the battle site and that night you will dine and sleep in a hotel on the banks of the Buffalo River. Quite a memorable stay for most. A slight excursion today as we leave South Africa to enter into eSwatini formally known as Swaziland. Tonight you will stay in a grass hut……seriously! Don’t panic, inside there are real beds on a concrete floor with electric light and ensuite shower and toilet. There is even tea and coffee making facilities if you don’t think you will make it through to breakfast. Goodbye eSwatini and hello SA again. A big treat today as you will become one of just a handful of people that can say they have legally ridden their motorcycle inside Kruger National Park. Hopefully we will get to do a short tour around the Crocodile Bridge area of the park and you never know you may get to see one of the elusive Rhino this tour is named after. We head north on the outside of the park passed many private game reserves until we reach one of our favourites. Moholoholo Mountain View were the scenery is simply stunning and the bush braai is to die for. 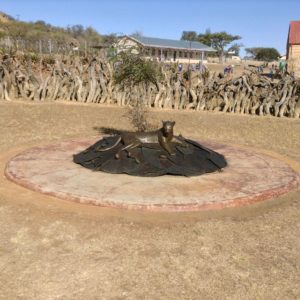 You have a choice this morning of either visiting the World Famous Moholoholo animal rehabilitation centre as featured in the Paul O’Grady – Animal Orphans Series or we can go ride the fantastic Panorama Route on our way to tonights overnight stop at Dullstroom. Our final day on the road and it consists of around 250 kms to get back to Johannesburg. But don’t think you won’t be seeing any wildlife alone the way!!!! We have a surprise for you. Once back at the Guest House in JHB we will check the bikes back in and then you are free to continue your Adventure. So much more than just a Motorcycle Tour.